Last year, one of my favorite eats in Japan is jagabata. It’s basically buttered potato and to be honest, nothing about it is spectacular because it’s really just butter, potato, and soy sauce. I’ve seen a jagabata where it has a baked potato splashed with soy sauce and a melting slab of butter on top. I’ve also tasted deep fried potatoes in butter. I tried the later here in Australia and it was all right but it was too oily for me. So I tried cooking it differently and this second try turned out to be quite perfect. 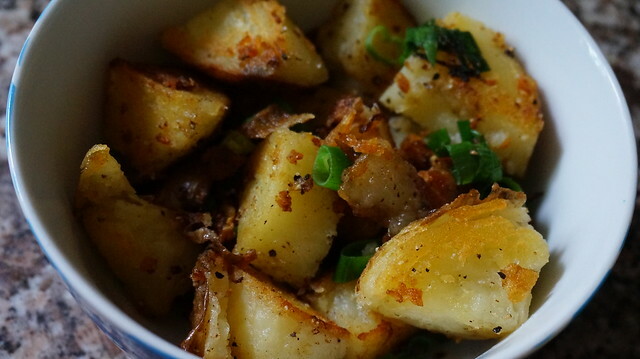 This is one wicked and lethal buttered potato dish. The key to success here is good butter. Not margarine or daricreme but some wicked good butter. Thankfully, Australia doesn’t have a shortage of good butter that even with the Coles brand butter, I’m actually quite happy. I suppose this also works with olive oil but what is jagabata without the butter!? I’m actually quite happy with this recipe. Oh so that’s what it is! I’ve cooked this before lol. 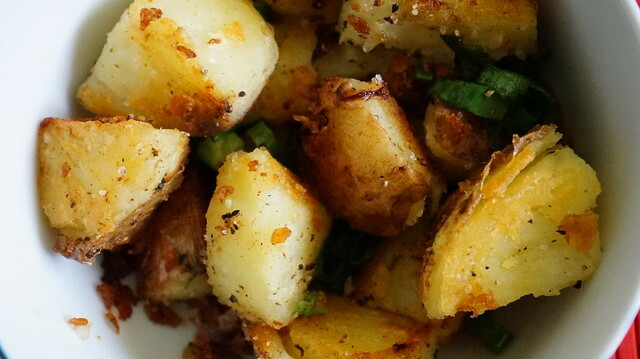 I prefer to boil the potatoes first before frying to make sure it’s evenly cooked, rather than just frying it (which makes me feel like it takes too long and the potatoes absorbs all the oil). I used olive oil though, because I like to pretend I’m eating healthy.